This entry was posted on Samstag, Oktober 1st, 2005 at 00:00	and is filed under building, gallery, travel. You can follow any responses to this entry through the RSS 2.0 feed. You can skip to the end and leave a response. Pinging is currently not allowed. 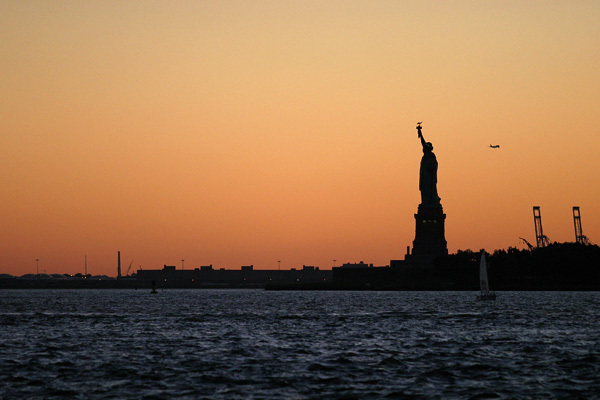 The silhouette of the statue of liberty is so nice! einfach herrlich, du hast den Finger immer im richtigen Moment am Auslöser. Man könnte auch sagen du hast ein gutes Auge. Viel Freude, Motive und immer gut Licht auf deiner weiteren Reise in den USA.